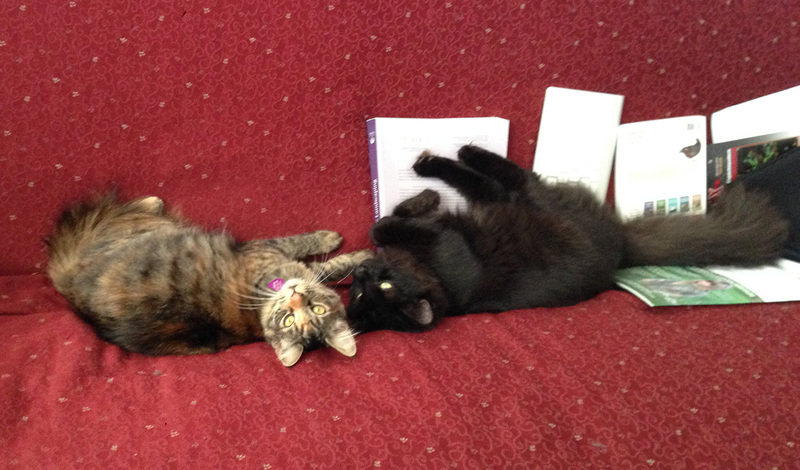 Yeah, I know I wasn’t going to work on Phoenix Rising until after the book chapters were fully revised. But the CNCH Fashion Show inspired me, and as I am making good progress on chapter revision, I thought I’d indulge in a bit of design. As you undoubtedly know, I’ve had a lot of trouble getting Phoenix Rising into focus, design-wise. It’s been all sorts of samples, garment designs, wall hangings, scarves – I’ve had a really hard time settling on a single design. So I thought it might help to establish some constraints. First, Phoenix Rising is going to be a garment. It may well be my last garment, so it’s going to be over the top. And definitely artwear, as opposed to everyday wear or even wearable art. Second, it will mostly feature handwoven cloth. In future work I may use surface design techniques, but this will mostly be handwoven, though it may also include surface design or embellishments done on the handwoven fabric. Phoenix Rising is a celebration of my “rebirth” from Type II bipolar disorder. The dark parts symbolize the pain of bipolar depression, the fiery phoenix symbolizes the glory of rebirth, of life. The fire also represents the ordeal: passing through fire, perhaps being burned badly, on the way to rebirth. I found these strictures more useful than constraining – they helped give some focus to the piece. Next I looked through my collection of haute couture photos, which I harvest every year from Style.com. I don’t save everything, just the garments that have interesting ideas. The garment doesn’t have to be beautiful, just innovative – I’m not copying it, just getting concepts. I dump the photos into Evernote and use them as a starting-point. While I wasn’t wild about the padded inserts at breasts and hips, I really liked the shredded-looking appearance of the ribbon “skirt”. I wanted to use the idea, not with ribbons but with torn strips of fabric, in fiery colors. That was okay, but I really didn’t like the top. The oval inserts at the side, while slimming, didn’t have anything to do with the rest of the garment, and the sleeves were competing with the feathery skirt for attention. The feathers/flames at top were quite different in look and feel from the feathers/flames at bottom, and the whole design felt disjointed. So I set it aside for a day or two. 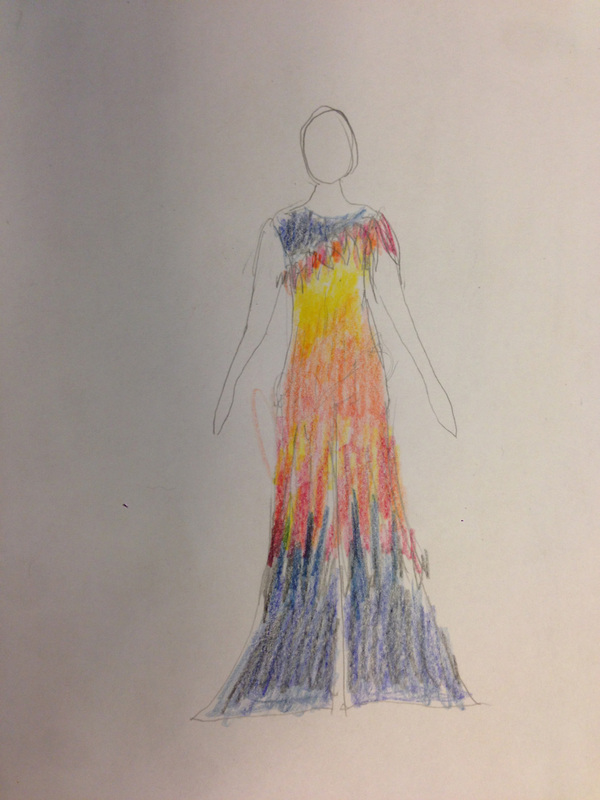 In this design sketch, the feathers/flames at the bottom are repeated at the top, but in a stiffer material that will stand out slightly from the body, adding dimensionality. (I’m hoping that this will give the impression of an upper torso bursting out of flames.) 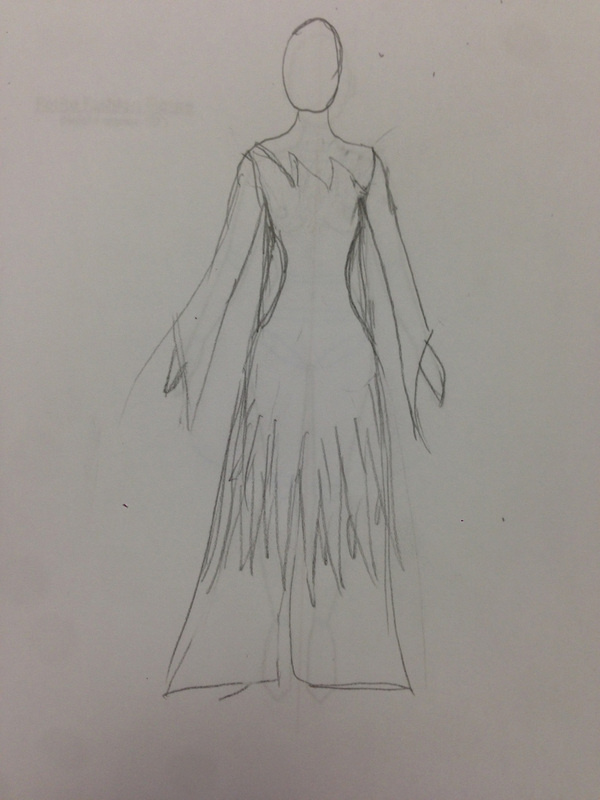 I eliminated the sleeves, though the feathers/flames on the left side do drape down over one arm. I’m still not happy with this sketch – there isn’t anything (yet) to connect top and bottom, and it feels unbalanced. But I don’t think I’ll get much further with sketches, so the next plan is to try out a couple of variations on the dress form. I’m having a friend over for a dye day on Sunday, and will dye some fabrics to use in testing.